We’re all about 1911s here – including the fun and historical stuff! Did you know that even today, the 1911 remains one of the most popular handguns on the international market? Its century-old design is still employed by modern militaries today. Keep on reading, because you should know these four facts about 1911s! That’s right: John M. Browning, legendary gunsmith and father of the M1911, was born in 1855 and raised in Ogden, Utah. Then little more than a fur trapper’s settlement, Ogden was founded just years earlier, in 1844. John Browning would spend decades in the secluded frontier of the American West, living an archaic lifestyle while simultaneously designing some of his greatest works – including the many concepts and modernities that would later be implemented in the 1911’s design. Although the O.G. 1911 maintained strict specifications, it was quickly and dramatically modified by postwar gunsmiths. Adding bits here, taking things there, gunsmiths transformed the M1911 into a bullseye-shooter’s favorite. But this spawned a modern market that is in no way homogenous. 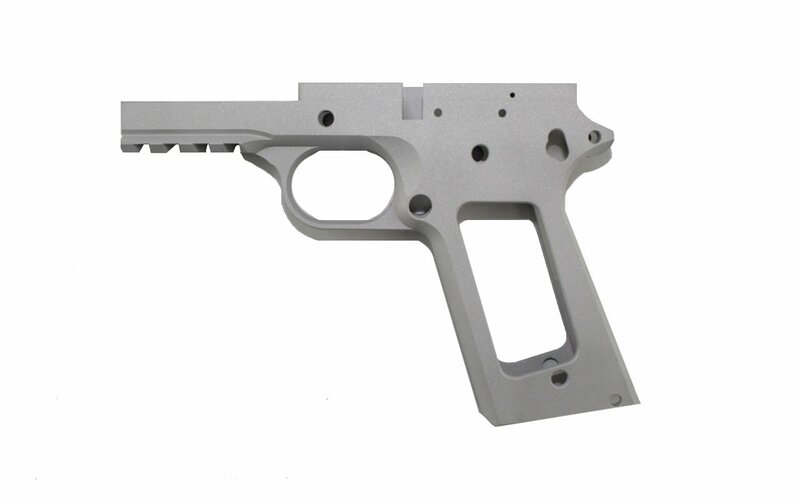 While one can fit an AR-15 together with pieces from seven different makers, the same is not true for the 1911. Manufacturers often change the locations of pins, triggers, safety mechanisms, they change tolerances and dimensions, sometimes even the shape of the frame. Makers simply can’t agree on how to build the 1911 – which is why some swear by its legend to the grave, while others swear by its allegedly poor quality. Yes, the 1911 helped win medals in consecutive conflict from 1918 to 1993. No other handgun is credited with this type of heroism and reliability. Here are just a few examples: The first occurred in 1918, when 2nd Lieutenant Frank Luke crash-landed his SPAD fighter behind enemy lines. Wounded, he fired at an approaching German squad until he was killed. He was posthumously awarded. On the same day, the M1911 was again helpful in earning Private Frank Gaffney and Lt. Col. Fred Smith the nation’s highest honor. Later in the war, the M1911 allowed Corporal Alvin York to kill 25 Germans and capture 132 more using mostly his service pistol. Perhaps the greatest story of bravery worthy of the Medal comes in WWII, in the Pacific: Sergeant Thomas Baker’s unit was attacked by thousands of Japanese soldiers. Wounded, he demanded to stay behind to ensure his fellow men could retreat quickly. Sgt. Baker’s body was later found propped against a tree, his rifle missing. An issued M1911 rested beside him. Eight spent cartridges were found scattered to his right – and eight Japanese infantrymen lay before him, each dead from a single gunshot wound. 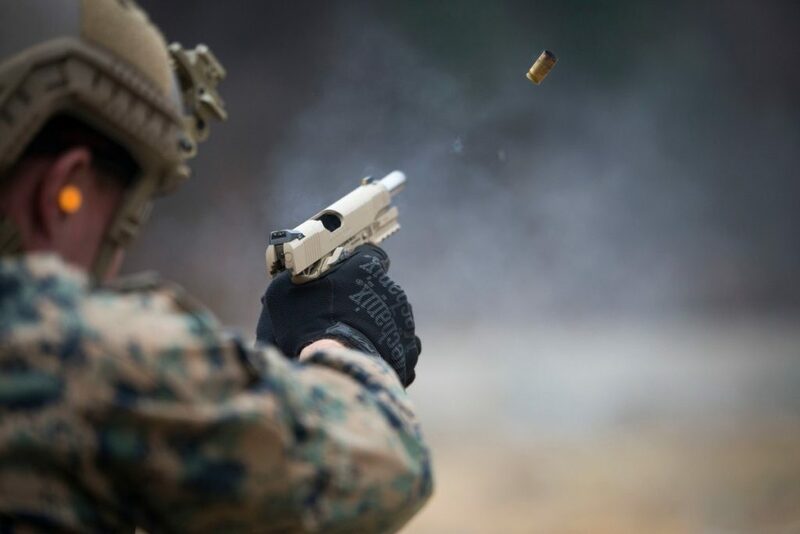 The M1911 ranks #4 on the world list of most-produced handguns ever, with three to five million produced. The catch, though, is that these figures only include the military’s own models, those produced by Colt, and a few “official” variants. If all current designs and makes of the 1911 were to be factored in, the number would likely reach into the tens of millions – making it arguably the most-produced handgun to date. What are you waiting for? 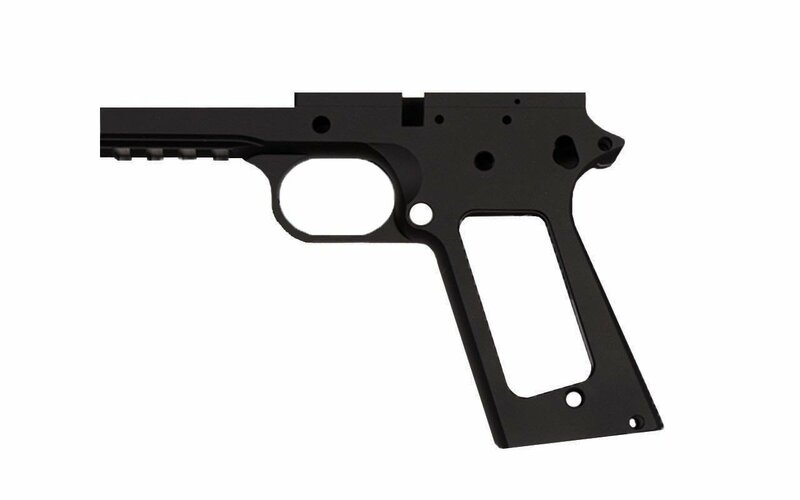 Why not build one of the most-ever produced handguns yourself? 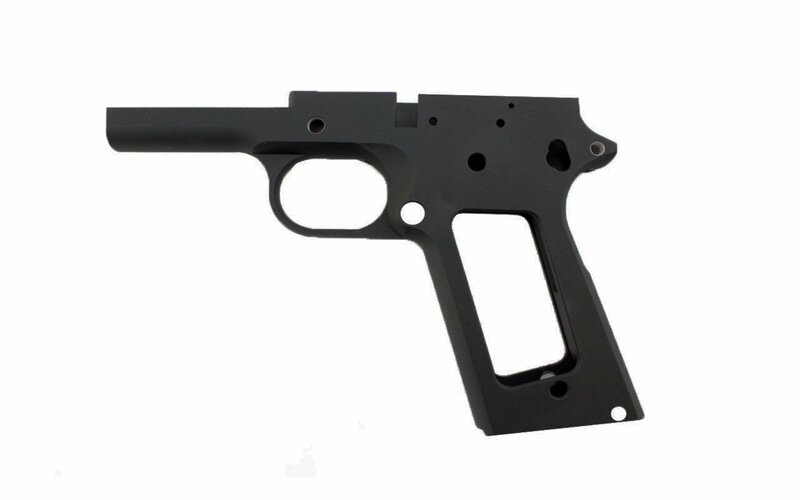 Start you 1911 build now!